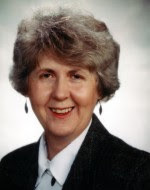 Rural Action is proud to announce that its founding director, Carol Kuhre, will be inducted into the Ohio Women's Hall of Fame on Wednesday, August 26, 2009, at 2 pm in the State House Atrium. The Hall of Fame honors Ohio women who have made contributions to the state and nation and have made a difference in our lives. Carol has been a mentor, leader, and inspiration to many Rural Action members and VISTAs. “I think she’s a very remarkable woman,” said Lois Whealey, secretary of Ohio Women, Inc. and former VISTA volunteer. “She has been so successful in several different fields, and she deserves to be in the Women’s Hall of Fame. It’s because of people like Carol that Rural Action has become as successful as it is,” she said. Carol co-founded the Appalachian Ohio Public Interest Campaign (AOPIC) and was integral in its transformation into Rural Action in 1991. 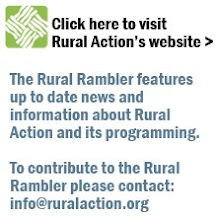 Carol acted as Rural Action’s executive director for 15 years. She was also key in starting Rural Action’s collaboration with AmeriCorps VISTA, which became one of the largest rural development VISTA programs in the country. “She truly believes in community and community organizing,” Lois said. Her accomplishments don’t stop with Rural Action; she was the co-director at United Campus Ministries for 12 years, and currently is president of the Athens Foundation and vice chair of the Jesse Smith Noyes Foundation. She co-founded the Athens Coalition against World Hunger, the Appalachian Peace and Justice Network, Students for Peace and Feminism and Faith Partners. She is also an accomplished fiber artist. More than well-deserved! Congratulations, Carol!